After working in the swiss watch industry for nearly 50 years, Jean-Claude Biver is finally a free man. The legend, whose decisive leadership has been felt at Blancpain, Omega, Hublot, Tag Heuer and Zenith over the years, officially stepped down from his post as president of the LVMH watch division and CEO of Tag Heuer late last year due to health reasons. He will however stay on as non‑executive chairman of the division. After LVMH issued the announcement, the 69-year-old said, with his usual brand of humour, “I’ll no longer be cutting the onions and crying in the kitchen early in the morning, I’ll just come later to see if they are ready.” The larger-than-life character, whose laughter and voice often boomed down the once hallowed hallways of Baselworld, will definitely be missed. He is widely credited for reversing the fortunes of the many flagging watch brands he has led and overseeing the ascension of Hublot from a small Swiss watchmaking marque in the eighties to become one of the biggest horological powers in the world today. The affable Luxembourg-born watch industry veteran was in Singapore recently to meet the media, and he was in excellent spirits, cracking jokes about drinking wine during this interview and obliging everyone’s incessant requests to take selfies and autograph his latest book, The Wizard of Swiss Watchmaking. But his beaming smile disappeared briefly when the topic turned to watches and the next generation. “Children not wearing watches now may become a problem. It may be tough to convince them to wear watches when they are older. If they wore a Swatch according to fashion trends previously, they may be more watch-conscious, so it may be easier to sell them a watch during their university graduation, engagement or wedding. This was how we prepared the current generation during the 1980s and ’90s—we taught them that watches could be status symbols,” he said, adding that this might lead to a bigger issue for watch brands in the future. What's In Clement Piak's Closet? That bit of indecision, coming from someone as unpredictable and unconventional such as Biver, represents hope. Here, in an interview held at The Hour Glass office, Biver spoke at length about his past, present, and future. What are the secrets to your successful career? 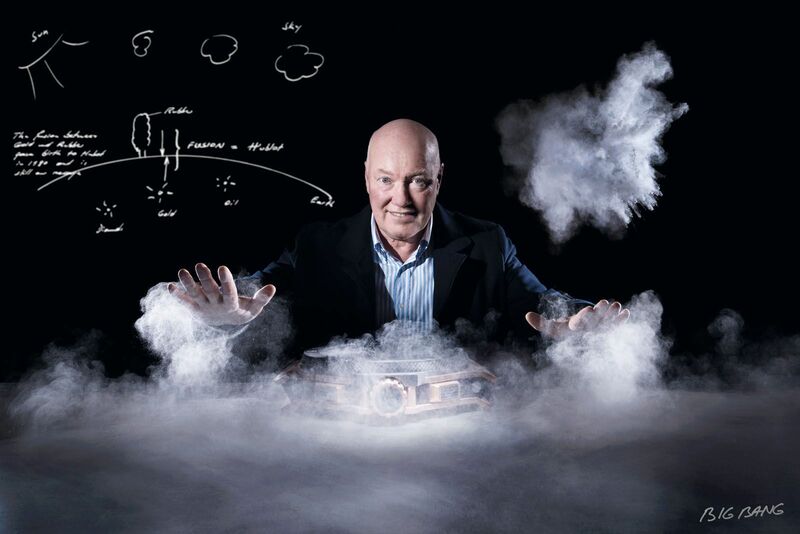 Jean-Claude Biver (JCB) I owe my success to my core team, which is more or less made up of the same people since 1979. The last person joined me in 1995. This bunch of people has always helped me as I moved from brand to brand. I never had to hire a marketing director—it was always the same person over the years; the same for the product design chief. When you have the same team in five successful brands, you have to admit that the team is key. That was my strategy—to have a team with members better than me in their individual fields. It’s like an orchestra chief. He has the best piano player but he’s not necessarily the best pianist. So the first factor is my team, while the second is respect. I don’t build a new brand; I build a brand based on its DNA and philosophy. That’s important. You have to respect the brand. The brand is not going to die in 10 or 15 years and you’re just a servant of the brand. I’m not the boss. The brand is the boss. I want to work on the roots of the brand, not change the brand. Only then will success come relatively quickly. What is the draw of working with Jean‑Claude Biver such that your core team has stayed loyal to you for so long? JCB I share everything I have in life with them—except failures. The failure of the team is my fault because the team never does anything wrong. Any failure, I shoulder. The team doesn’t have to worry. Also, I share my knowledge, doubts, vision and even my personal failures. And I forgive mistakes. This way, the team will be more dynamic. I also respect the fact that people have a family. They want to spend time with the family and go on holidays. Share, forgive, respect—nobody will want to leave the organisation. Who wants to quit? [Laughs] That’s why they stay with me. Have you ever made mistakes in your career? JCB I have to agree that my decisions have ended up relatively successful. But it’s not just luck. I somehow have this ability to transform a bad decision into a success. In every success, there’s an energy. Likewise, in every defeat, there’s an energy too. But it’s just negative energy. You have to twist it around—this energy will help you. I sold Blancpain [in 1992]. It was a mistake, I admit. But instead of crying, I said I wanted to go back as an employee of Blancpain and I did. That wasn’t the easiest thing to do because suddenly, you’re not the boss anymore. But because I went back to Blancpain and achieved some success, I had the responsibility and opportunity to manage Omega. I was there for 10 years and I learned a lot from the success of the brand. I might have sold Blancpain as a mistake but I ended up doing so much more. It could have remained a bad decision. But the consequences turned out positive. How much of that was down to luck? JCB I want to say all my life is filled with luck. I’m chosen to be lucky, and to promote luck and optimism. But you must believe this: I’m surrounded by luck. I really feel like a privileged man with my kids, wife, friends and business. You are a firm believer of marketing. Which was your best marketing decision? JCB The World Cup timing board by Hublot—it’s the one brand people remember during the tournament. People don’t remember the other brands [on the advertising boards] around the field but the timing board “comes directly” to the eyes. You may not see it the first time round, but after 20‑odd games, you definitely will. [Online luxury watch marketplace] Chrono24 sent me a report saying that the number of searches for Hublot shot up each time the board is shown by the referee. Now that you have relinquished your duties at LVMH, do you miss work? JCB I hope not. If I do miss it, I’d have to transform that missing feeling into something positive. I don’t know. But if I miss it and decide to do something, I may concentrate on combating a global lack of clean water like joining a charity for water. Well, if I miss something, I will need to have a “compensation”.